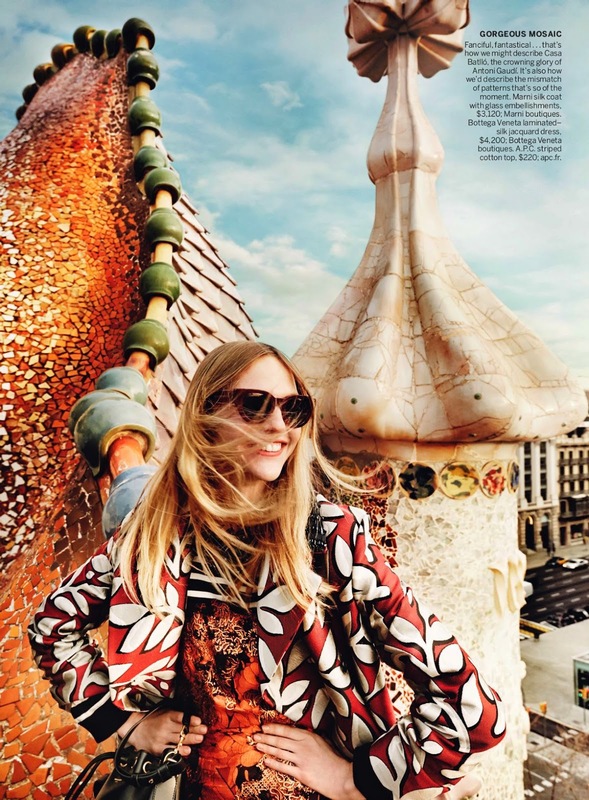 Following a stunning return to the catwalk at Chloé's Fall/Winter 2014 show, supermodel Sasha Pivovarova hightails it to Barcelona for a little R'n'R in American Vogue's May 2014 issue. 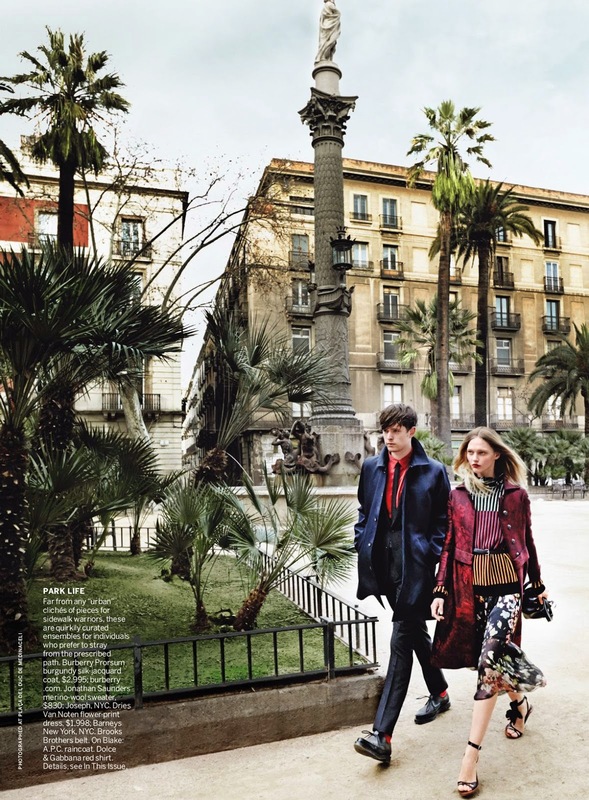 Celebrity fashion photographer Mario Testino shadows the Russian beauty and singer-songwriter James Blake as the pair explore the sights of Barcelona in "Day Tripping". Fashion editor Tonne Goodman finds inspiration in the city's stunning architecture and vibrant decking out Pivovarova in versatile daywear embellished with bold patterned prints from the Fall/Winter 2014 collections of Carolina Herrera, Marni, Alexander McQueen, Bottega Veneta, Giambattista Valli, and Burberry Prorsum. Pivovarova slips into full holiday mode while taking in the spectacular sights of Barcelona from the rooftop of Antoni Gaudi's Casa Batilo, in the grounds of Park Güell, or while pausing for a Café con leche in the city's majestic Gothic Quarter. The twenty-nine year old veteran model is in her element having previously studied art history at the Russian State University of Humanities and being an artist in her own right painting and sketching in her free time. Pivovarova's illustrations have been featured in Paris Vogue, the New York Times, Vogue China, and in exhibitions at Mansion Grand in New York and in Paris. Speaking in a video for clothing brand Free People's January 2014 catalogue, Pivovarova reveals "I'm creative so I need to do something with my hands. I need to express myself but I try to find inspiration in everyday things."